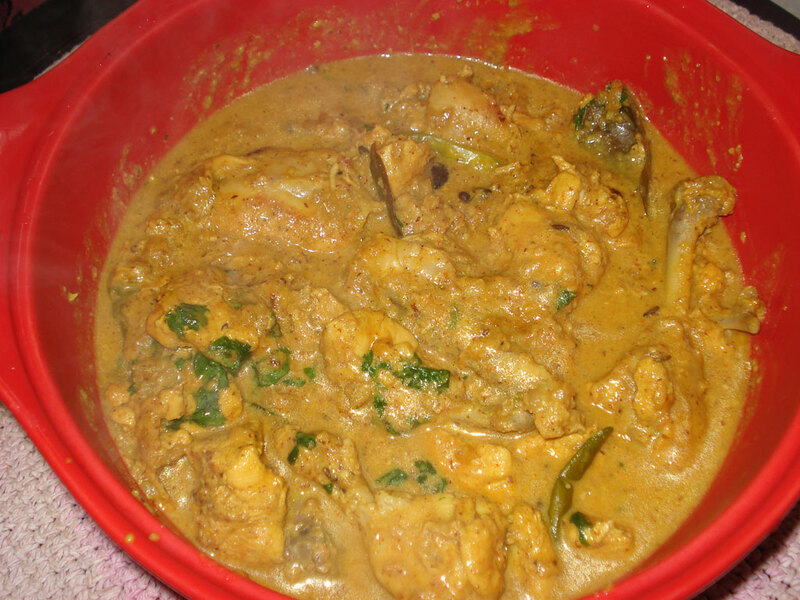 This is a lip smacking, rich tasting chicken dish which can be prepared quickly. 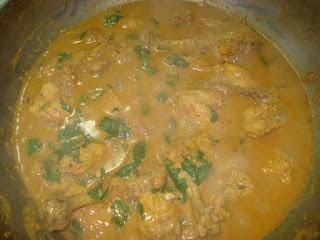 My kids loved it and called it the best chicken dish they have ever tasted! Clean, wash and drain the chicken. Grind almonds with the star anise and keep aside. Rub the chicken with salt, 2 tspns ginger garlic paste, 1 tspn red chilly powder, 1/4 tspn turmeric powder, one tblspn yoghurt and leave to marinate for 1 hr. Heat oil in a heavy bottomed pan. Add fennel and coriander seeds and bay leaf to the hot oil followed immediately by chopped onions. Fry till golden brown, add remaining 1 tspn ginger garlic paste, turmeric, and chilly powder to the onions stir for sometime then add the marinated chicken. Turn over from all sides and cook till the chicken changes color and gets nicely roasted in the masala. Add whole green chillies and the remaining yoghurt. 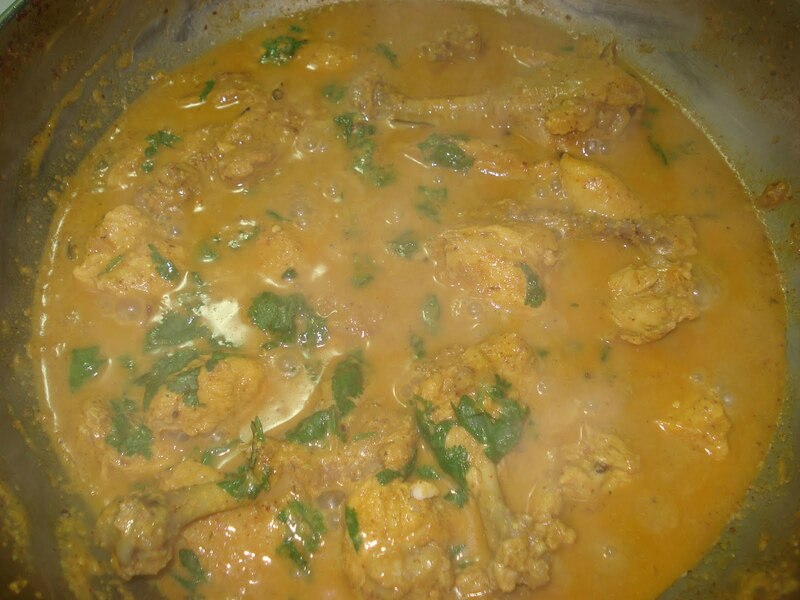 Make a paste of the almond & star anise mixture with a little water and add to the chicken. Blend well and leave to simmer for 10 – 15 minutes till the mixture thickens. Garnish with chopped coriander and serve hot with ghee rice or Naan. The subtle flavour of anise combined with almonds gives a rich taste and flavour to the dish. Salaams Fouzia Mami…I've been eyeing this recipe for a while and i finally got around to trying it. It was so simple to make and tasted fantastic!